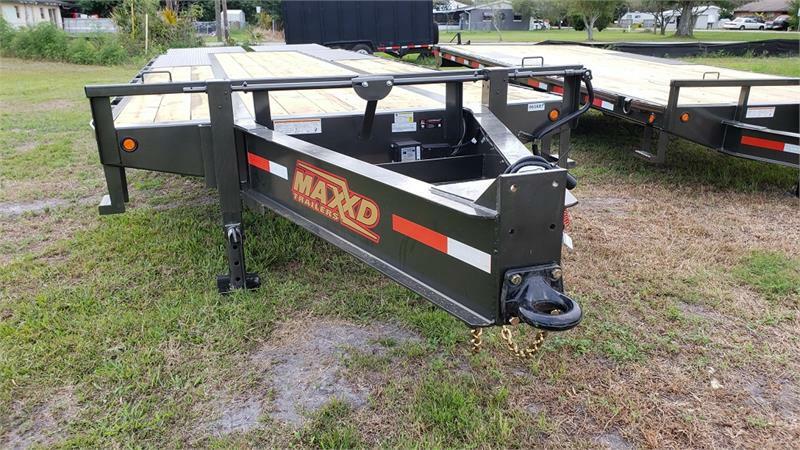 LDX - The LDX is our low-profile flatbed gooseneck. 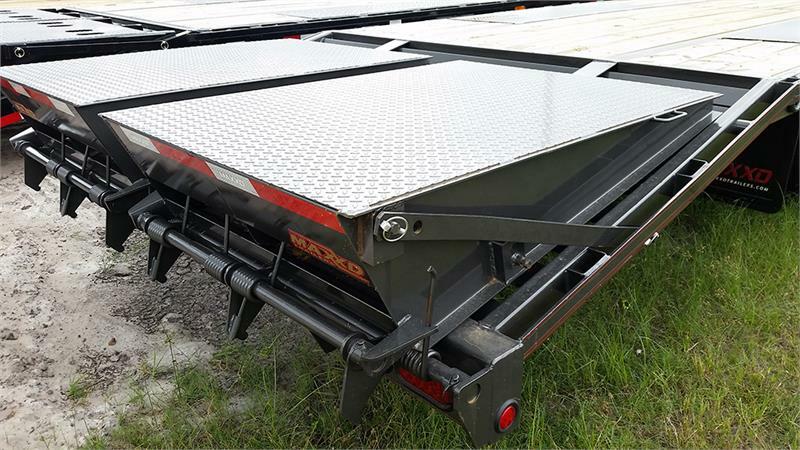 The low-profile design is achieved through running the 3" channel floor crossmembers through the main I-Beam frame rails instead of setting them on top. 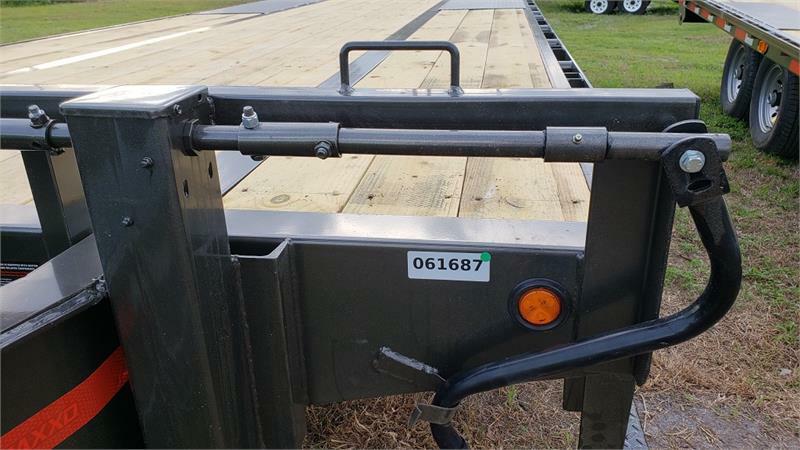 This lowers the deck approximately 4.5". 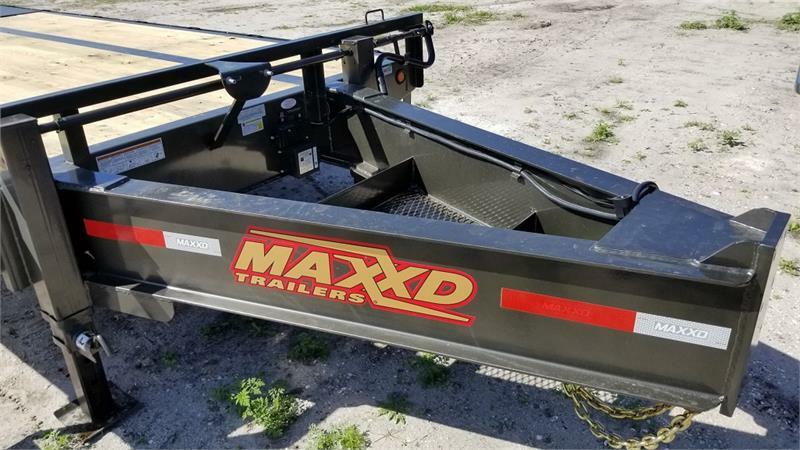 Other than that this trailer is nearly identical to the GDX model. 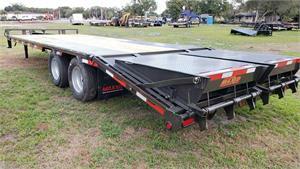 It also starts with 2-10K Dexter electric brake axles and a GVWR of 22,500 lbs. 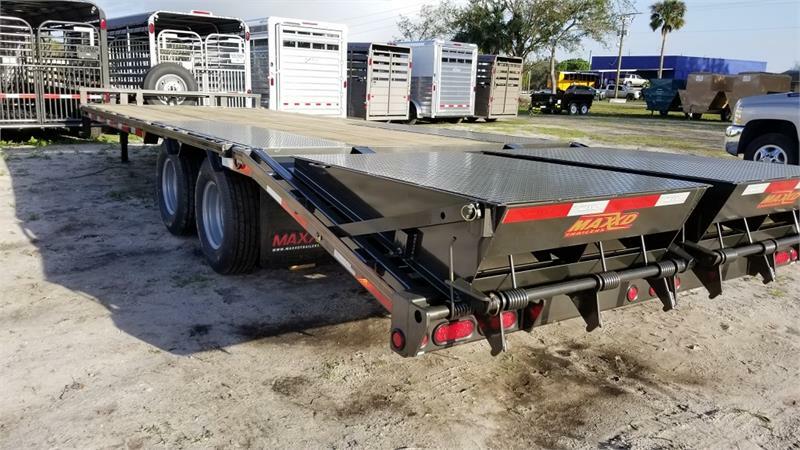 This trailer is more popular in agriculture for hauling tractors and hay, but can be used for anyone that wants a lower profile trailer. 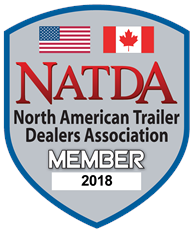 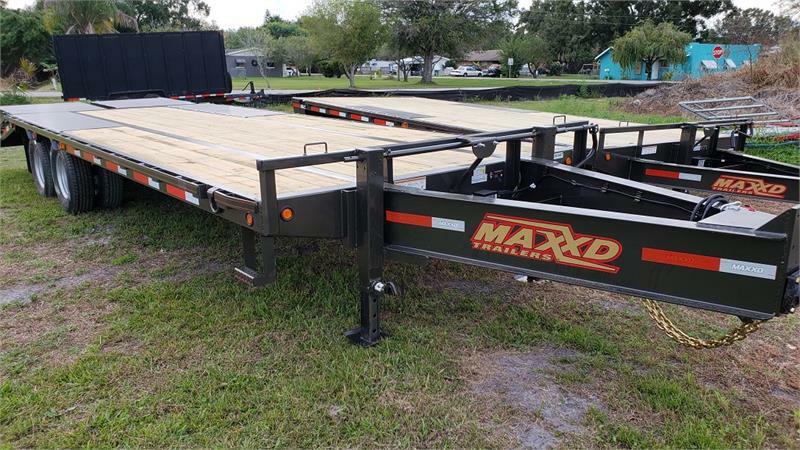 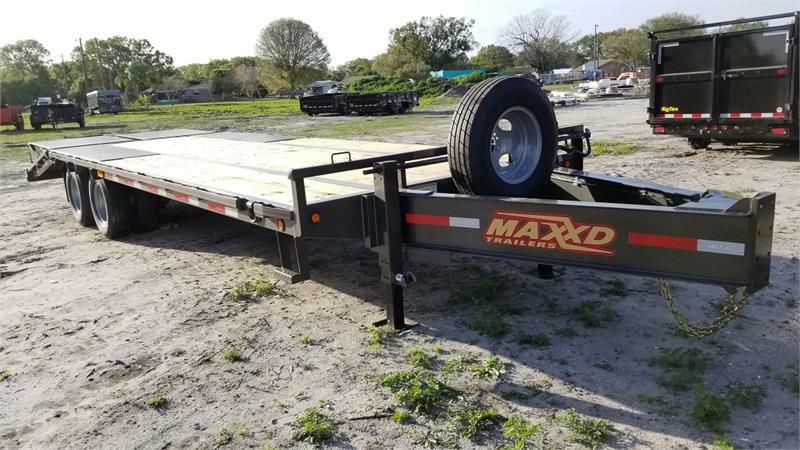 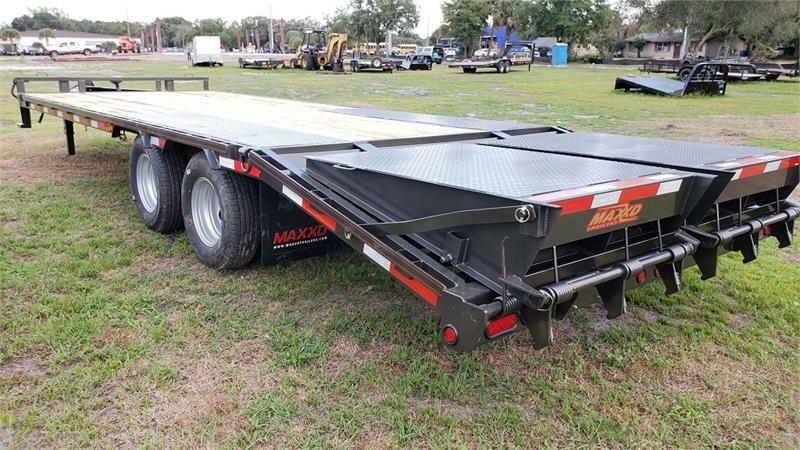 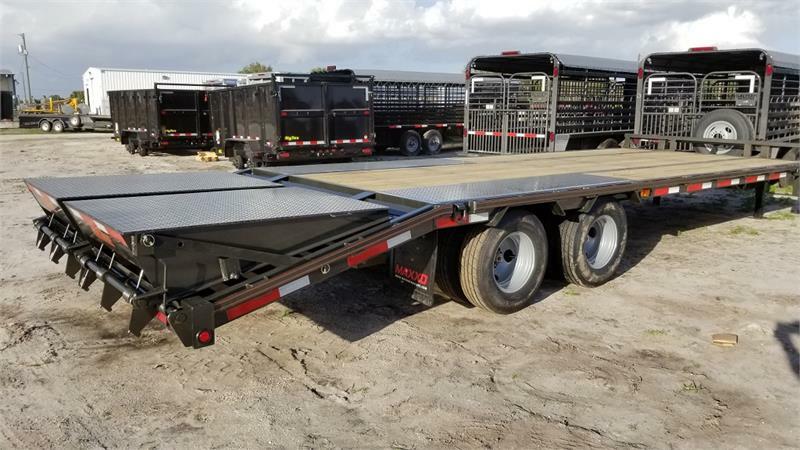 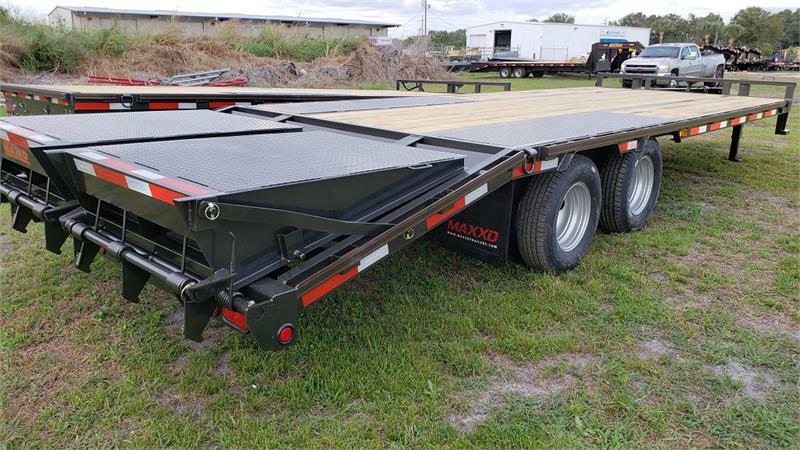 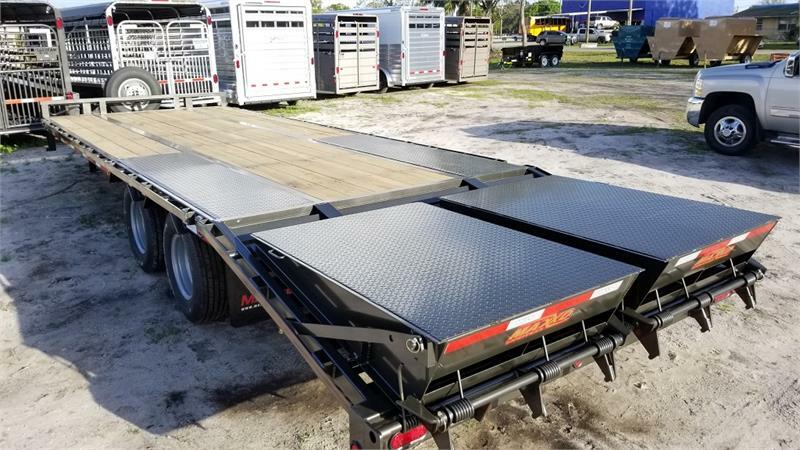 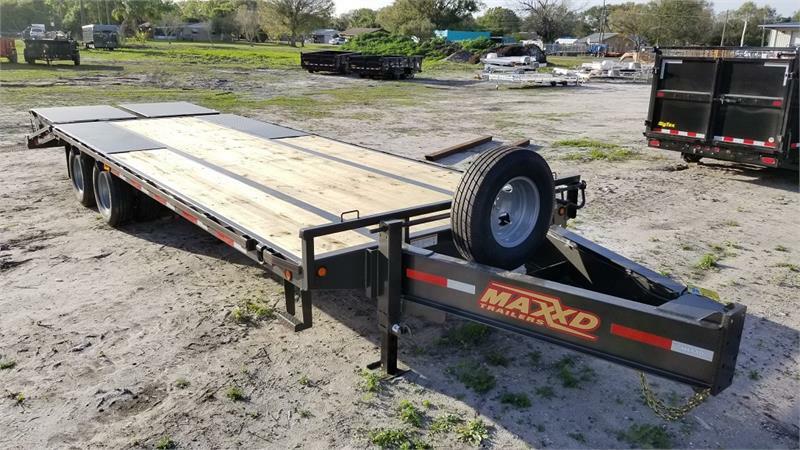 MAXXD Pintle Trailers for Sale in Florida.